prose, Easter · Codex las Huelgas, 13th c.
The liturgical music of many early Christian churches of the Near East can be traced back to the Patriarch of Antiochia and its rites. 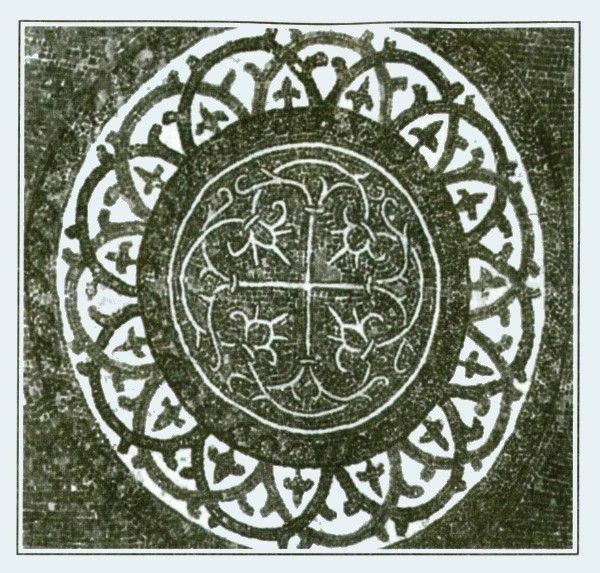 In the same way the Maronitic church, a Christian denomination which emerged latest at the time of the first crusades in Syria and in today's Lebanon, was shaped mainly by its Middle Eastern surroundings. Until today, in spite of many changes and reforms in the details, the Maronitic as well as the Melchitic and Syrian-catholic rites have handed down and kept alive chants dating back to the first centuries of Christianity. The early Christian Syrian heretics (i.e. Bardaisan and Paul of Samosata) cultivated women's choirs and women's solo chants (although the apostle Paul had already forbidden women to sing church chants). This powerful and still living tradition, however, provoked a ban (if only officially) in the late 4th century which forbade women's chants in the liturgy. Kassia (810-?) is certainly the most significant female composer of Byzantine church music. According to the chronicles of the Byzantine Empire the highly educated court lady belonged to the court circle of women from whom the emperor Theophilos was to choose his wife. When he realised that she was far superior to him in intelligence, education and wisdom, he rebuked her. Because of this she spent the rest of her life in a convent. 49 liturgical chants and a number of secular, moralising songs have been attributed to her. In her work "Augustus the Monarch" she compares the reign of the emperor Augustus with that of Christ's. The troparion "The Fallen Woman" was written after her entry into the convent. It clearly contains a number of autobiographical elements. Hildegard von Bingen (b.1098, Bemersheim-Bergen, near Alzey / 17th September 1179, Rupertsberg near Bingen) is known to us as a mystic and prophetess and as an advisor to popes, emperors and princes. She wrote a great number theological, scientific and medical texts. Since her childhood she was haunted by visions which she wrote about in a number of texts and songs. Hildegard's music is a world of its own. It has an enlarged melodic range, rich melismatic passages, and a structure that involves few melodic modules and incorporates a mixture of various genres. Her language is characterised by an astounding clarity and illustrates her apocalyptic visions. The large melodic range, chromaticisms, changes of the final of the mode and its frequent instability (especially in the d-modes) were the very opposite of the then new Cistercian chant. Purists had declared features which had already been sanctified by custom as being irregular. These variations must have been common in old Carolingian chant —they still exist in Byzantine chant. In the ecclesiastical context of her time, Hildegard's work appears like a vigorously traditional new song. The Cistercian convent of Las Huelgas de Burgos was founded in 1187 by the Castillian King Alfonso VIII and his wife Eleonor of England. It has always been an aristocratic recluse and a burial site for Castillian kings and queens. During the reign of Alfonso the Wise, around 1257, the community was made up of 100 nuns from aristocratic descent who sang in the choir, 40 aristocratic girls who received an education from nuns and 40 novices as well as a community of priests, Jewish doctors, muslims, officials, surgeons, gardeners and stone masons. Since its writing around the turn of the 13th century the Codex Las Huelgas has been in the possession of the convent. It is a simple parchment manuscript that contains compositions for everyday use. It is a large collection of liturgical and secular works. Its contents include pieces from the Parisian Notre Dame school as well as works in a more modern, motet style. All of them were adapted to the local style.These compositions were sung by the women in the convent, with the exception of the Ordinary and the Proper of the Mass. There were also choirs and soloists of both sexes who sang in separate choirs. The name 'Sarband' stems from Persian and Arabic, and denotes the improvised joining of two parts of a musical suite. Vladimir Ivanoff founded the Ensemble Sarband in 1986, to point out possible links between European music and the Islamic and Jewish musical cultures. With sensitivity and intensity, Sarband realizes the connection of Orient and Occident. The continuous musical collaboration among the members of the ensemble ensures that a dialogue on equal terms is maintained. It is the exchange of practical musical experience between musicians from different cultures that make the performances of Sarband fascinating, lively and extremely authentic. In their performance of European and Oriental medieval music, the Turkish, Italian, English, Bulgarian, Arab and German musicians participating in this project draw upon the colorful palette of instruments, vocal and instrumental techniques and the art of improvisation which are still to be found in Islamic culture today. 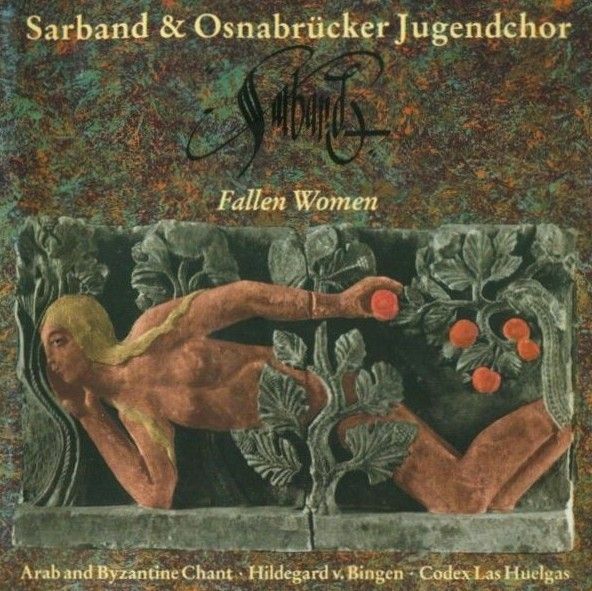 Sarband's unique repertoire has won them wide acclaim internationally. 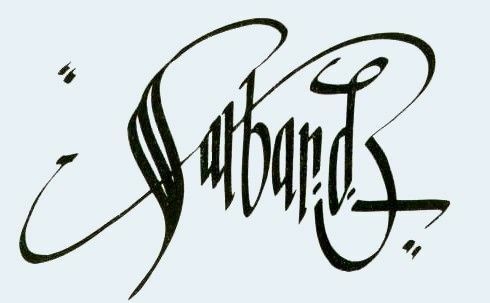 Over the past years Sarband has performed at numerous international Festivals of varying orientations ranging from Early Music to Avantgarde. Many of the chants come from Hildegard von Bingen and ninth-century Byzantine female composer Kassia; others are adapted from Arab-Byzantine oral traditions. All are performed in a style that will not only surprise most Western listeners, but also encourage us to rethink the nature of religious singing tradition in the early church. There has been much attention lately devoted to reinvestigating and reimagining the origins, practices, and development of Christianity. 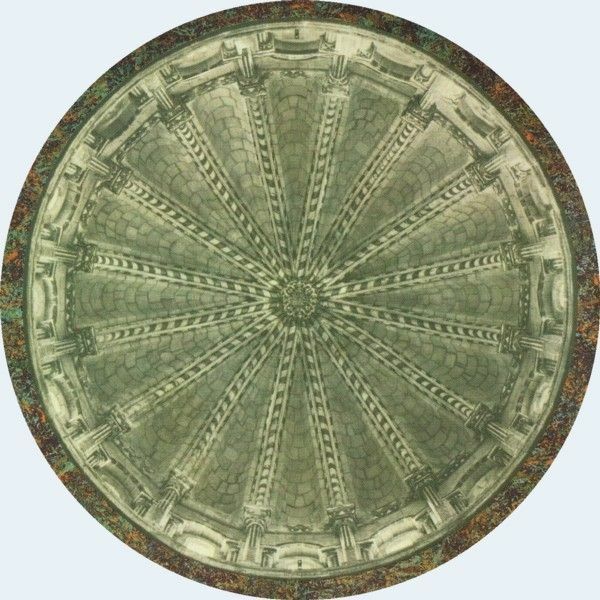 In that regard, this recording, whose performers seek to explore the "possible links between European music and the Islamic and Jewish musical cultures" offers not only an enjoyable musical experience, but an enlightening one as well. " 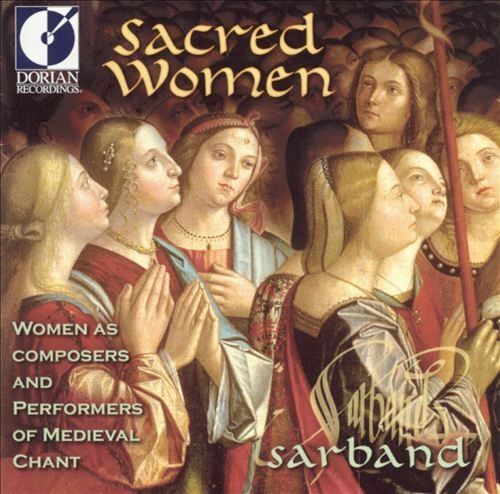 Subtitled Women as Composers and Performers of Medieval Chant, this 2001 release is a mesmerizing program of early Christian women's chants - expressions of women's spirituality, rooted in mysticism and seeking ecstatic connection with the infinite - in spite of a 4th-century ban which forbade women's chants in the liturgy! Founded to demonstrate the relationships between European early music and the musical cultures of Islam, Sarband is a fascinating, lively and authentic international ensemble of musicians from several Middle Eastern and European countries, including Lebanese vocalist Fadia El-Hage (known to our listeners for her work with Vox), and UK vocalist and shawn/bagpipes player Belinda Sykes. Here they perform chants from Middle Eastern churches; works by Hildegard; chants by Kassia, the most significant female composer of Byzantine church music who wrote during 9th century; and from Codex de las Huelgas, a large collection of liturgical and secular works sung daily by the Cistercian nuns of the convent of Las Huelgas de Burgos. Recommended!